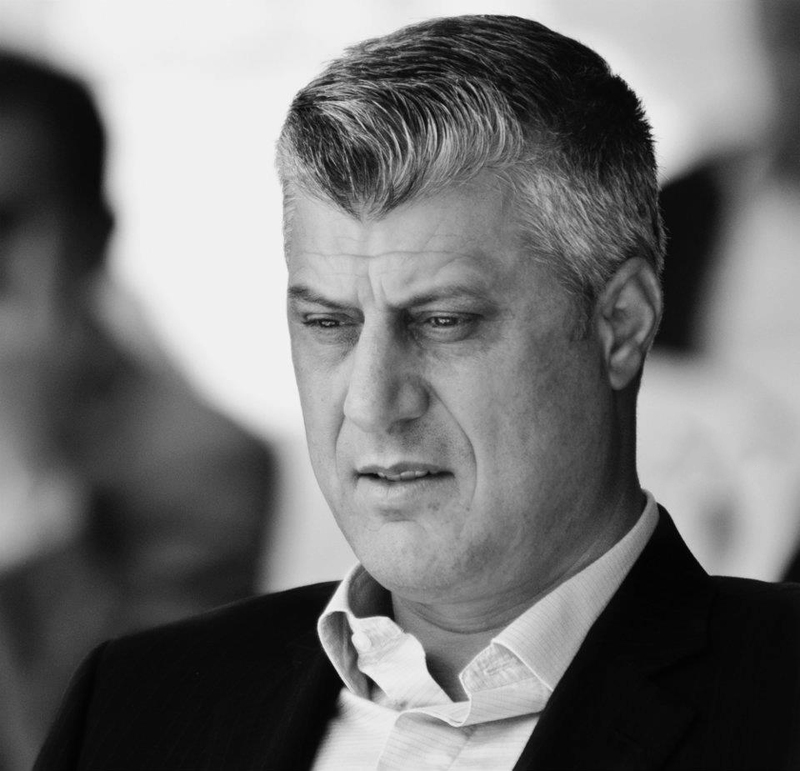 Kosovo’s former Prime Minister Hashim Thaçi has now taken up the role of Deputy Prime Minister and Minister of Foreign Affairs. He writes exclusively for LSEE about how he envisions Kosovo’s future foreign policy, listing as its main goals: deeper regional and global engagement, stronger national security, the continuation of the dialogue with Serbia and the increase in economic growth driven by foreign investment. The Republic of Kosovo has just approved a new government consisting of the two largest political parties – PDK and LDK – joined by minority parties with seats in the parliament. The new coalition provides a very stable majority and includes for the first time members of the northern Serb community. In the lead up to the agreement to form the coalition that ended the political stalemate in Kosovo, all parties showed great respect for the Constitution and the country’s independent institutions, such as the Presidency and Constitutional Court. Accordingly, despite the protracted negotiations, this period showed that Kosovo has built a stable democracy that cannot be threatened by internal political strain. Even more significantly, Kosovo’s parties managed to negotiate a political settlement without outside interference – the new government is a genuinely native product of political dialogue in Kosovo. The strength of our democratic institutions has enabled the new government to quickly focus its activity on immediate priorities. While improving the economy and creating jobs will be the government’s most important priority, I have taken the position of Deputy Prime Minister and Foreign Minister in the belief that there are numerous foreign policy objectives that must be addressed in order to advance Kosovo’s security and prosperity and ensure that Kosovo takes its rightful place in the community of European nations. The EU accession process is the most important component of our internal and external reform drive. Kosovo is close to signing its first formal agreement with the EU, and we are deeply engaged in implementing conditionality for visa liberalization with the Schengen community. Furthermore, we are pursuing regional cooperation and dialogue with our neighbors in line with Kosovo’s Copenhagen criteria commitments. In particular, Kosovo has signed numerous technical agreements with Serbia and engaged proactively in closing the chapters of the past with former foes. I led the dialogue in Brussels that brought about the Brussels Agreement or First Principles of Normalization of Relations between Kosovo and Serbia. It was not an easy task to find compromises that would both ensure appropriate sovereign relations between Belgrade and Prishtina and integrate the Serbian minority in the north into the mainstream of the Kosovo state. However, both Kosovo and Serbia showed courage in taking the steps necessary to move forward. While some of those steps were disliked by populations in both Kosovo and Serbia – especially nationalist forces – they were necessary to promote a swift process of EU integration that can bring both countries closer to the EU by the end of this decade. We must proceed with the establishment of the Kosovo Armed Forces (KAF) as a small, native and non-offensive force that will operate in accordance with the Constitution and under full civilian control. Establishment of the Kosovo Armed Forces as a multi-ethnic component of a domestic and regional security architecture will be based on the Strategic Security Sector Review that was implemented in cooperation with NATO partners. Importantly, the creation of the KAF is a prerequisite of Kosovo joining the NATO Partnership for Peace program. Initiating the first formal link between the KAF and NATO is a priority, and we are working to develop a clear roadmap for membership in the Partnership for Peace program. This groundwork is being completed in conjunction with efforts to advance Kosovo’s EU integration process. The strong support of Kosovo’s overwhelming majority for both initiatives encourages the government to continue to move forward in conjunction with our allies to finish this critical piece of the puzzle – ultimately enabling Kosovo to transition from an importer of security resources to an exporter of peace. Kosovo must establish a Specialized Court with a chamber in a European country to support the continued work of the EU Special Investigative Task Force (SITF). Kosovo has cooperated with numerous legal institutions in the post-war period – from the ICTY, to UNMIK and the EULEX international rule of law missions – and we must continue our cooperation with this latest internationally-backed legal instrument in order to close the painful chapter of 1999. Only 15 years ago, Kosovars were subjected to an attempt at genocide by a murderous regime in Belgrade. Times have changed now, and Kosovo must demonstrate its ability to deal with the past and provide justice for all victims of crimes committed – even if those crimes were allegedly committed by individual criminal members of the majority community. In order to separate myth from fact and determine the truth with respect to those allegations, we must cooperate fully with the SITF by establishing a Specialized Court to operate within Kosovo’s domestic legal system. 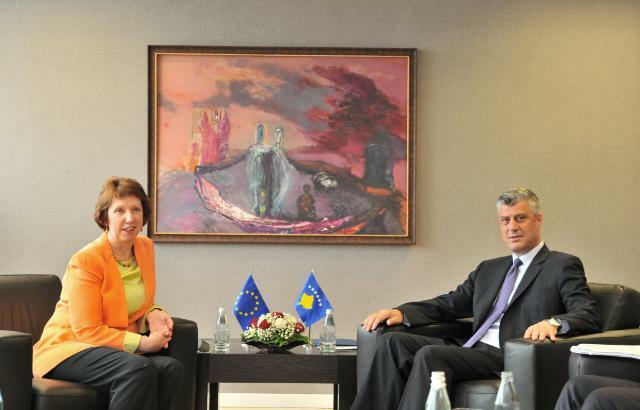 Kosovo must also proceed with its application for membership in the Council of Europe (CoE). My first trip as Foreign Minister was to visit Council of Europe Secretary General Thorbjorn Jagland. Kosovo has in recent years taken the pragmatic approach of gradually increasing its interaction with the CoE. We became members of the Council of Europe Development Bank in 2013, and we also successfully completed accession to the Venice Commission of the Council of Europe. The next natural step is for Kosovo to advance its application to the CoE itself. Membership to the CoE is not only important for the integration of Kosovo and Kosovar institutions into multilateral organizations, but it is also important for providing Kosovo citizens with key instruments for ensuring the protection of their human rights. Kosovars are the only people in Europe that cannot count on protection from the European Court of Human Rights, though as noted in various EU and UN progress reports, Kosovo has recorded solid progress in establishing a credible democracy with a modern constitution that protects minorities and ensures appropriate checks and balances. We will continue with innovative and cutting edge programs in public and digital diplomacy, which have received global attention in diplomatic and media circles. Kosovo’s Strategy for Digital Diplomacy was hailed as fourth best in the world by Turkish magazine Yeni Diplomasi, while the U.S. Institute for Public Diplomacy noted that a project of Kosovo’s MFA to enable recognition of Kosovo by social networks was one of the top ten moments of public diplomacy in 2013. Kosovo partners such as the U.S. State Department and UN also noted our work in interfaith diplomacy, as we offered our country as a platform for global debate on issues related to religion and foreign policy. Last but not least, we will also use diplomacy as a tool for attracting foreign direct investment into Kosovo. As a former Prime Minister, I know that numerous investors interested in Kosovo were afraid of its post-war image. Through economic diplomacy, we aim to reassure investors of Kosovo’s economic potential. Several massive projects currently in the pipeline for completion include the Brezovica ski resort and the Kosova e Re power plant, as well as other investments in the mining, energy, and telecom sectors. These investments will also benefit from increased diplomatic engagement with the investor community. Kosovo is positively competing with the region to attract interest, and we must show that the vibrant, youthful and entrepreneurial society in Kosovo can deliver dynamic economic partnerships that will benefit both investors as well the country itself. Kosovo has the best internet penetration in the Balkans and a young, multilingual, and well-educated population. We must showcase this side of Kosovo which has been buried behind the headlines evoking the war of 1999 and post-war transitional challenges for far too long. Hashim Thaçi is a former Prime Minister of Kosovo (1999-2000, 2008-2014). This entry was posted in Kosovo and tagged EU enlargement, European Union, FDI, Hashim Thaci, Kosovo. Bookmark the permalink. Not a bad start for the new FM with the interview in the WSJ last week and now this – surprisingly coherent – blog entry. Words are only words though and the minister will be judged by the deliverables. Kosovo’s new FM should leave the rhetoric aside and give us more convincing arguments as to what is he going to actually do in order to help Kosovo overcome many obstacles and challenges ahead. First, he should perhaps start giving us an account as to why so many people are leaving Kosovo now?! One thing that continuously amazes me is, how naivety is so present when it comes to politicians from the Balkans! As an Albanian from Kosovo I am deeply disturbed from the fact that Western media is so generous in giving these people space that they hardly deserve. The principle of accountability that in the West is so dear should also apply in these cases. In other words, Thaci, Vucic, Dodik, Gruevski (the so-called traditionalist-turned-nationalist-mafia-style-corruption politician) should firstly be asked: what did they accomplish in order for them to have a chance to say something about the future! An interesting article, however, the FM did not mention anything about Kosovo facing the past and resolving issues regarding war crimes, kidnapping and trafficking of organs of mostly Serbs and other non-Albanians. This is especially important given the fact that more people disappeared in Kosovo after 1999 then under the Milosevic regime. Mr Thachi himself was once a guerilla leader and also has strong accusations on his own behalf.